The station, which began broadcasting at noon on December 22, 1974, is the only radio station serving an approximate area of 88,000 square miles. 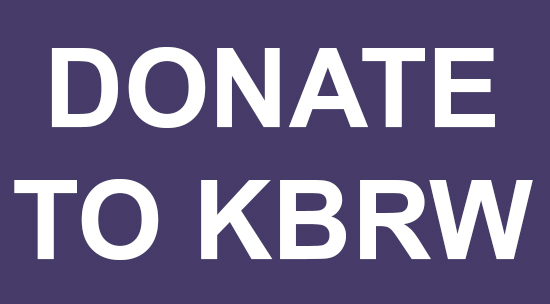 It started modestly with a $180,000 grant from the State of Alaska and after 22 months of planning, KBRW began broadcasting with 1,000 watts of power and programmed music shows, hosted by a cadre of community volunteers. That signal was strengthened in the villages starting in 1988 with a series of five translators, one for each out-lying village served. KBRW can be heard on AM radios at 680khz, and on FM radios at 91.9 on the dial. KBRW is a non-commercial, community radio station owned and operated by Silakkuagvik Communications, Inc. of Barrow, Alaska. 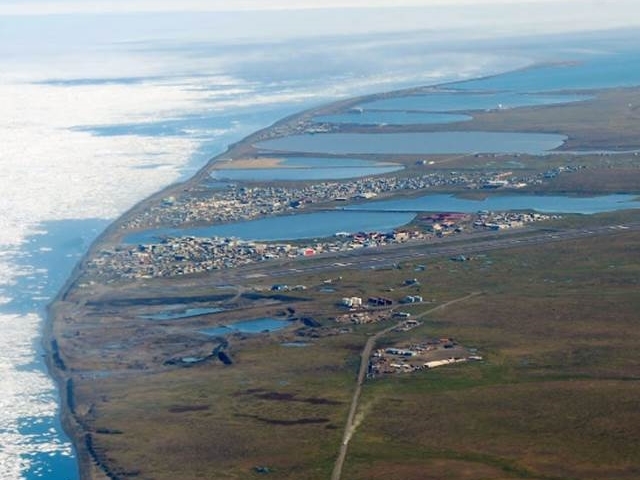 KBRW broadcasts a diverse and vibrant program schedule to the North Slope communities of Barrow, Point Hope, Point Lay, Wainwright, Atqasuk, Nuiqsut, Prudhoe Bay and Kaktovik. KBRW provides essential information services such as Emergency Alert System and AMBER announcements; severe weather warnings and local, regional, state, national and international news as well as entertainment programming to a combined listening population of more than 10,000. The residents of these communities rely on KBRW for instantaneous information regarding emergencies and weather-related threats. Barrow, Alaska is the United States’ most northern community and is located 330 miles north of the Arctic Circle and just 1200 miles south of the North Pole. The Chukchi Sea in the Arctic Ocean surrounds Barrow to the west, north, and east. To the south, level tundra or permafrost (permanently frozen ground) stretches for some 200 miles until the Brooks Mountain Range begins, separating and isolating the North Slope (both a geographic and political designation) from the rest of Alaska. KBRW is the only broadcast outlet originating in the region and its AM signal (through a complex series of translators and repeaters) reaches approximately 90,000 square miles from the Canadian border to the Bering Sea. In the mid 19th Century, while commercial whaling and fur trading were a common sight in Barrow, these encounters with Caucasians had a significant effect on the local people like other indigenous people around the world. Rifles and liquor were introduced and a variety of diseases such as measles, small pox, and influenza. One particularly devastating strain of the flu killed more than 200 Eskimos in 1900. “KBRW’s purpose is to provide a quality source of information, cultural programming and entertainment unique to the needs of the people of the North Slope, and to share with others as appropriate”. The mission statement lists the primary elements of our service in order of importance. INFORMATION is our most important product. Since KBRW is the only continuous source of local programming for all the people of the North Slope, our most useful function is to provide information of all kinds, particularly information that is not available elsewhere. This includes local news and public affairs programs, information about native issues and interests, broadcast of North Slope Borough and other meetings, statewide news and public affairs, messages, public service announcements and other announcements of current events. CULTURAL PROGRAMMING is our second most important priority. KBRW is able to play a unique role in the preservation of the Inupiaq culture and language. The radio station is the only mass medium that can provide a significant program service relevant to the needs and interests of the Inupiat people. The station is committed to presenting as much Inupiat programming as possible. This includes Eskimo stories, Inupiaq language and literacy programs, and special programs about local culture. Local religious programs also serve an important cultural role by promoting shared values and strengthening ties among the North Slope people. In addition, KBRW will do its best to provide as much bilingual programming as possible. ENTERTAINMENT programming is the third priority. Insofar as possible, it should amount to more than just filler material between informational and cultural programming. It should attempt to reflect the values of high-priority programming by including programs the serve to inform and bring our people together (e.g. the Birthday Program and local sports programs). It should be noted that most of the programming described above is locally produced programming, which is often the most difficult and expensive type of programming to produce. KBRW’s ability to accomplish the mission set forth in the above statement is directly related to available funding. Silakkuagvik Communicatipons, Inc. is a not-for-profit organization, with 501 (c) (3) IRS status. We hold non-commercial broadcast licenses from the FCC, and we receive state and federal funding. We strive to be transparent to the community. We have posted relevant information about KBRW’s practices, policies and finances on this site. If you need assistance, copies of any financial reports or further information, contact the station management during business hours at 852-6811.